Ticks are nasty little blood-sucking creatures. Even though they’re small, they can cause big problems. But don’t let them ruin your outdoor fun. 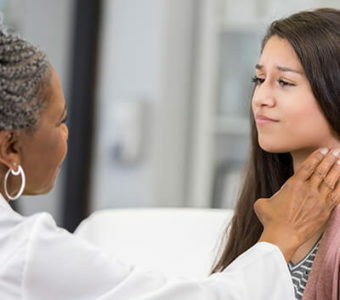 We’ve got some tips for preventing tick bites, recognizing and treating them, and knowing when to get your doctor involved. Ticks like to hang out in areas that have tall grass and/or lots of trees and brush. So, if you’re going to be in those areas, you’ll definitely want to take steps to keep those creepy crawlies off you. If you’re wearing long pants, tuck the pant legs into your socks. 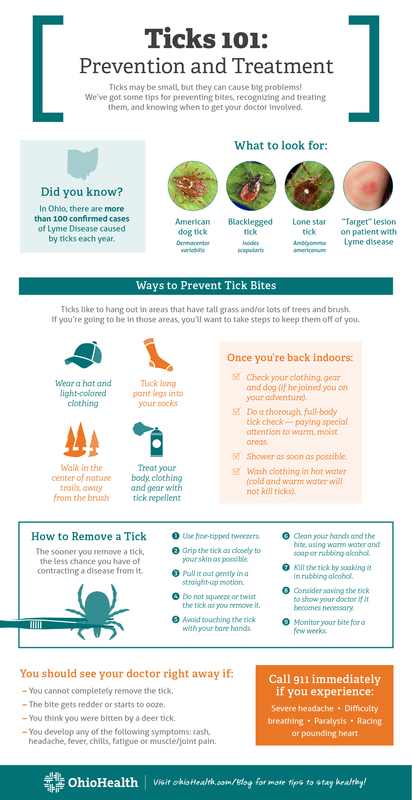 Treat your body, clothing and gear with a good tick repellent. 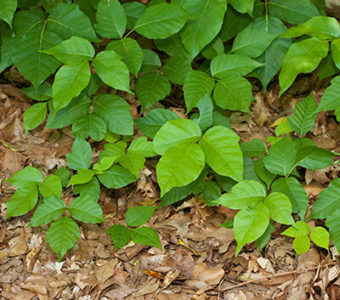 Walk in the center of nature trails, away from the brush. Check your clothing, gear and dog (if he joined you on your adventure). Do a thorough, full-body tick check — paying special attention to warm, moist areas including armpits, groin, back of knees, in and behind ears, under breasts, in your belly button and in your hair. Shower as soon as possible. Wash clothing in hot water (cold and warm water will not kill ticks). See the ticks commonly found in your area. When ticks bite you, they stay attached to feed on your blood. The sooner you remove a tick, the less chance you have of contracting a disease from it. Grip the tick as close to your skin as possible. Pull it out gently in a straight-up motion. Do not squeeze or twist the tick as you remove it. Avoid touching the tick with your bare hands. Clean your hands and the bite well, using warm water and soap or rubbing alcohol. Kill the tick by soaking it in rubbing alcohol. Consider saving the tick to show your doctor if it becomes necessary (store it in a container in your freezer). Monitor your bite for a few weeks. Most tick bites are harmless and just leave a tiny sore or red spot. But remember, it’s important to clean every bite thoroughly and keep an eye on it to make sure it doesn’t get worse. You cannot completely remove the tick. The bite gets redder or starts to ooze. You think you were bitten by a deer tick. You develop any of the following symptoms: rash, headache, fever, chills, fatigue or muscle/joint pain. ED, Urgent Care and Primary Care: What's the Difference?